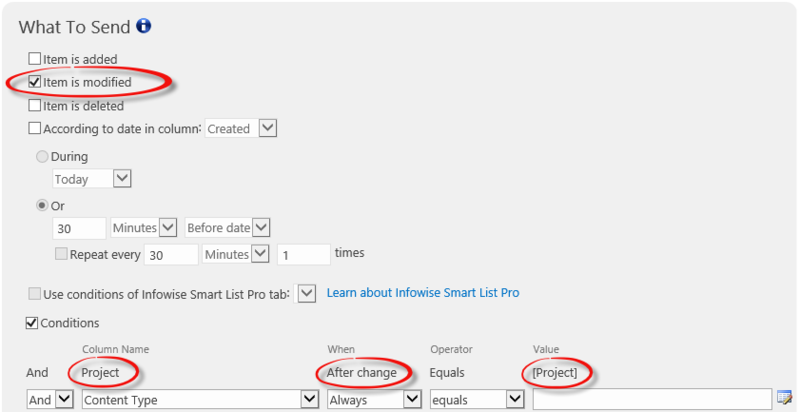 Use a condition to check whether a field has changed on record update. There are many SharePoint field types that each have their own unique characteristics. Always verify your setting to make sure that it works as expected. This condition will only be triggered when the field value changes and not if it remains the same. It is often necessary to trigger an action based on a field value changing.